If you were a fan of Spider-Man back in the day, than chances are you will probably be interested in seeing The Amazing Spider-Man, coming out in 3D. A remake of the original, this new flick seeks to bring some old-school ideas back with some newer actors. Among the cast is Andrew Garfield, who you might remember from The Social Network (2010), as the lead; Emma Stone as Mary Jane, and even features a cameo appearance by Stan Lee, the creator of Spider-Man (tip: look for the librarian dancing to the music in one of the action scenes). Unlike other remakes of original classics, The Amazing Spider-Man will be closer to the original comics; for instance, Peter Parker will invent artificial webs instead of using organic webs. However, most of the screenplay follows the format of the 2002 Spider-Man film, which will be reassuring to most people. The movie is often described as 'a story about a kid who grows up looking for his father, and finds himself'; and the producers of the new film have tried to stick to the same core message. A far cry from the comic-book action that some of us used to read as kids, there are more special effects, tension and action than ever before seen in this film franchise series. This film's popularity seems to be built on the back of its symbolic characters: you have the aspirational 'good' character of Peter Parker, the fun-loving Mary Jane, the villain Dr. Curt Connors, and his son, the in-betweener. In the words of Rhys Ifans, actor for the Lizard: "That's the whole magic of Spider-Man idea. These people are the embodiment of our flaws and our desires that lead to tragedy." 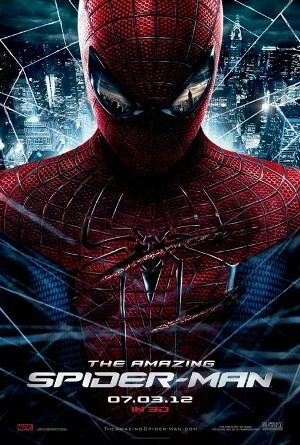 If you consider yourself a Spider-Man fan, than this film is worth a peak. 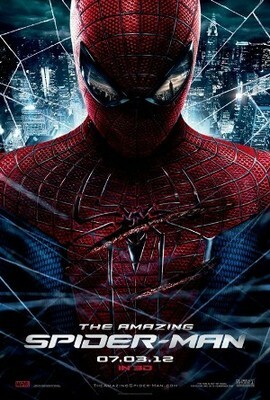 So grab your mates and head to your nearest cinema for The Amazing Spider-Man. For more information, please see the official website. In cinemas Wednesday, 4th of July.